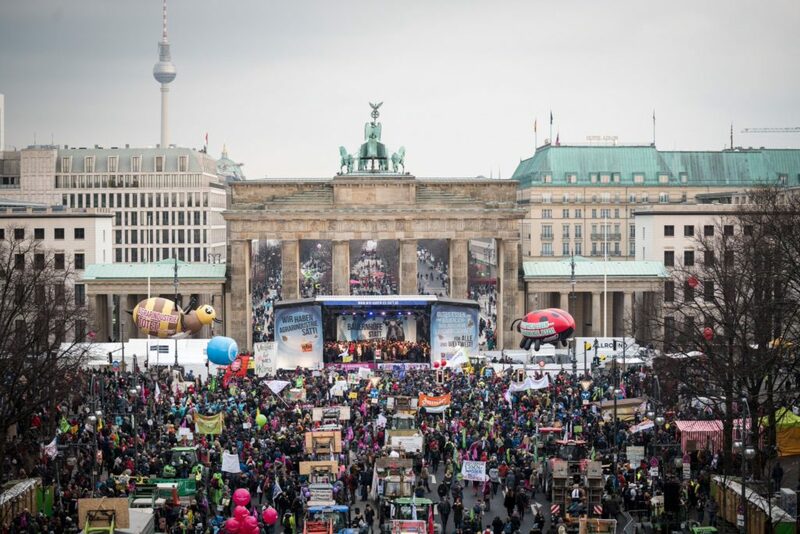 On January 19th, at the foot of Berlin’s Brandenburg gate, 35,000 activists and citizens of all ages gathered to send a loud and clear message to policy makers: Wir Haben es Satt! “ We have had enough!”. 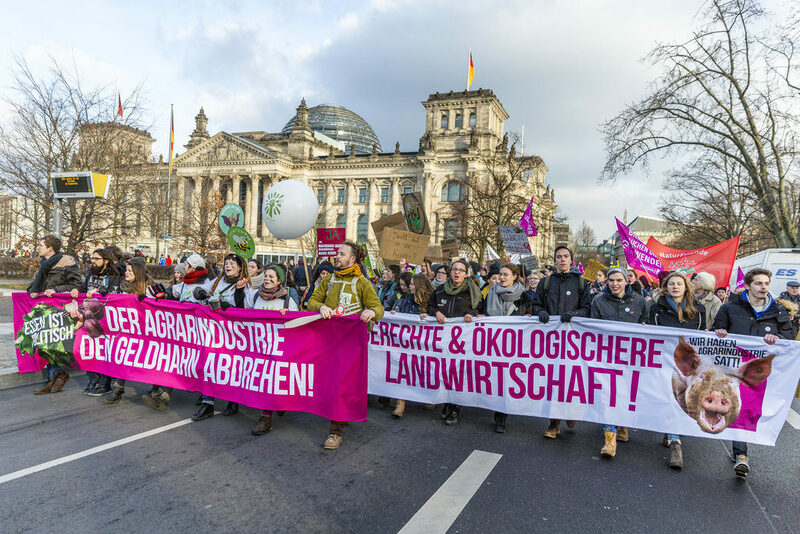 The 9th installment of the Annual Demonstration took place on the week of the Berlin Agriculture Ministers‘ Conference and Berlin’s International Green Week, which attracted many European stakeholders and decision-makers to the capital of Germany. 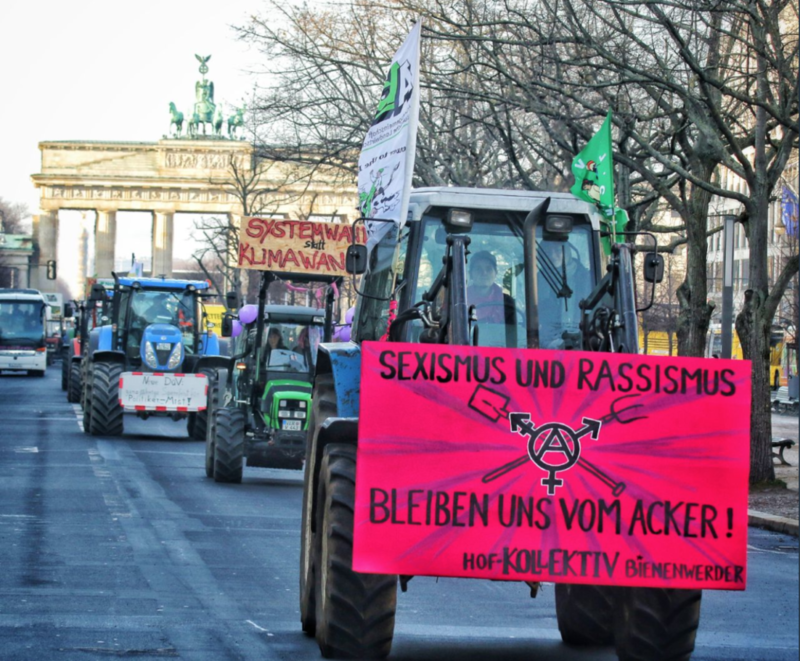 Protesters from all over the country and beyond used the opportunity to voice their discontent with the current industrial agricultural system and to demand climate-friendly farming. “Protesters called out by some 100 organizations asserted that alleviation of climate change and species depletion required a reorganization of EU farming policy, including subsidies, currently amounting to €60 billion ($68 billion) annually, including €6.3 billion allocated in Germany. 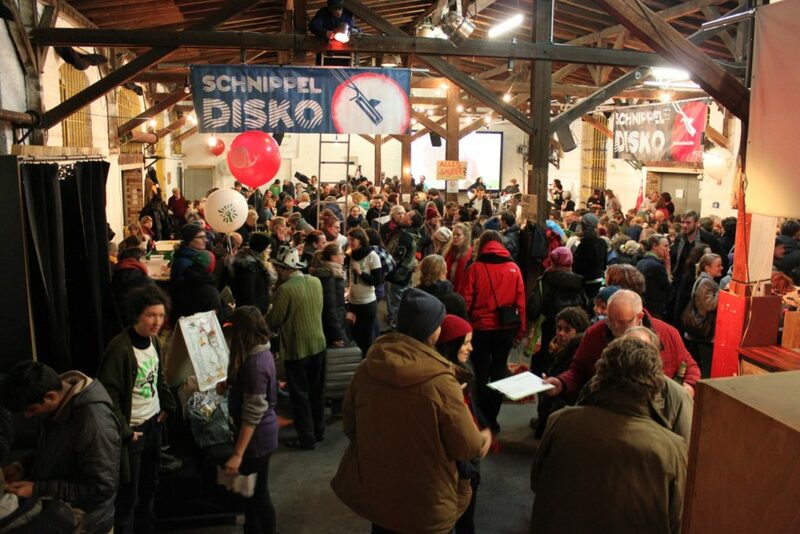 On the eve of the demonstration in Berlin, the biggest disco soup in the world #Schnippeldisko opened its doors for the 8th time to hundreds of people and our grant went towards various costs involved setting up this event and publicising it. 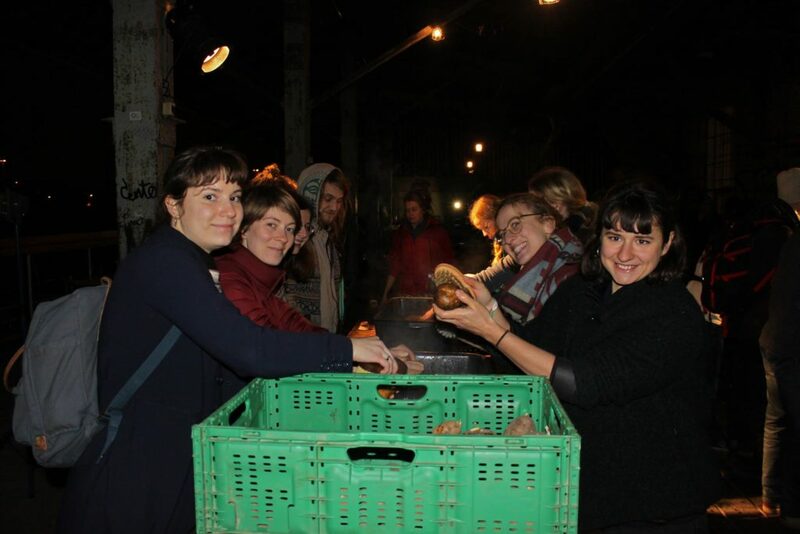 Over 1500 kg of unwanted vegetables were used for the vegan soup. Many fresh vegetables and fruits end up being wasted simply because they do not meet the supposed market expectations– they are either too big or too small, they do not have a perfect shape or perfect color. 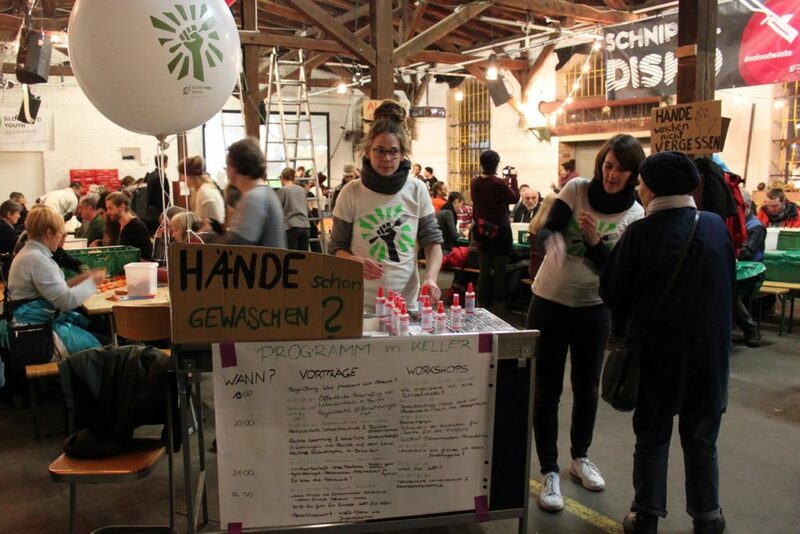 The Disco Soup gathered Berliners and visitors to the city, joining together not only to dance and eat delicious soup, but to discuss important issues concerning food waste, the agricultural industry, and mass animal husbandry. According to the European Commission, around 88 million tonnes of food waste are generated annually with associated costs estimated at 143 billion euros. Meanwhile, a report which analyzed food waste in the United Kingdom, showed that up to two-fifths of a fruit or vegetable crop can be wasted simply because it is “ugly”.